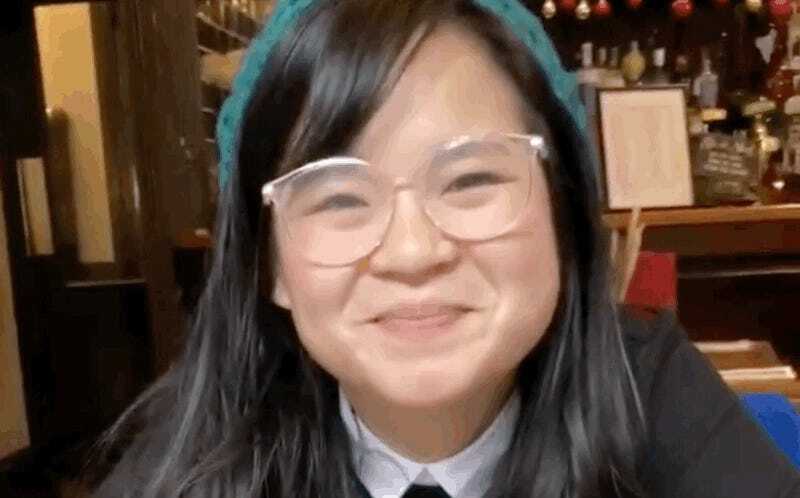 As one of the new characters in one of the world’s most popular film series, Kelly Marie Tran’s face is everywhere. But she was still able to go unnoticed while out for dinner at a pub recently where, as it turns out, she sat next to some folks talking about The Last Jedi in “minute detail.” After listening for a while, Tran couldn’t help herself and jumped right into their conversation. My friend started filming as I listened, and she captured my reaction as they discussed Rose. 😭🌹 After lots of creepy listening — and eating 🥧😬 — I awkwardly walked over to introduce myself. They couldn’t be more lovely. What an incredible moment in a string of incredible moments I’ve been experiencing lately. ❤️ In my 8 years as a struggling actor, I came to the realization that the hardest thing to obtain from another human being is their genuine interest. Sometimes, getting someone to listen to your story — your idea — is really hard. It’s pretty impossible for a movie to get made, and there are many stories that don’t make it into a book or a film or a television show. I know how lucky I am to be a part of something that people love, to be able to act and tell stories at all. And one of my greatest joys has been creepily listening to conversations about TLJ when I’m out and about. 😬🤓 Regardless of opinion or preference, it’s still a topic of discussion. And no matter who we are, no matter where we’re from, if we can really listen and have a conversation about something — anything — it can really open up a door. It can open us up to new ideas and new understanding. So thanks, wonderful people, for watching and dissecting and discussing. It makes me happy to know that we made something that’s starting a dialogue. Tran’s been having a really fun ride as part of the giant, fully operational Star Wars machine, and this random encounter is just another very sweet stop on what’s hopefully a long, meaningful journey for the actress.